Governor of new Hela Province, Anderson Pawa Agiru has died after a long illness. Doctors at Port Moresby's Pacific International Hospital confirmed the passing of the Hela leader to the media this morning. 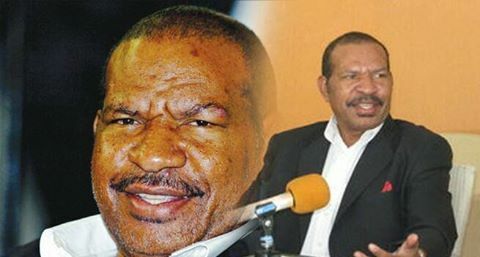 His death has shocked many Hela community members including Komo-Magarima MP Francis Potape. Many took to the social media to express their condolences. Past: First elected to the 6th National Parliament in the 1997 General Elections for the Southern Highlands Provincial seat. Governor for Southern Highlands Province 1997-2002, then 2007-2012. Appointed as a member of the Provincial Government Suspensions Committee from July 1997 to March 1998. Dismissed from Parliament by Leadership Tribunal in January 2002. Bid to overturn Leadership Tribunal dismissed by the National Court on the 14/3/2002, then Supreme Court appeal also dismissed on the 24/5/2002. Re-elected to the 8th National Parliament in the 2007 General Elections for the same seat as a United Resources Party candidate. Appointed as the Parliamentary Referral Committee on Minerals and Energy-Deputy Chair on the 18/09/2007. Re-elected to the 9th National Parliament for the Hela Provincial Electorate in the 2012 General Elections as a United Resources Party candidate. Foundation Governor for Hela Province from August 2012. Appointed member of Foreign Affairs and Defence Committee in August 2012. Last Occupation Prior to Elections: First Secretary to the Former MP and Minister for for Environment Conservation, Parry Zeipi.